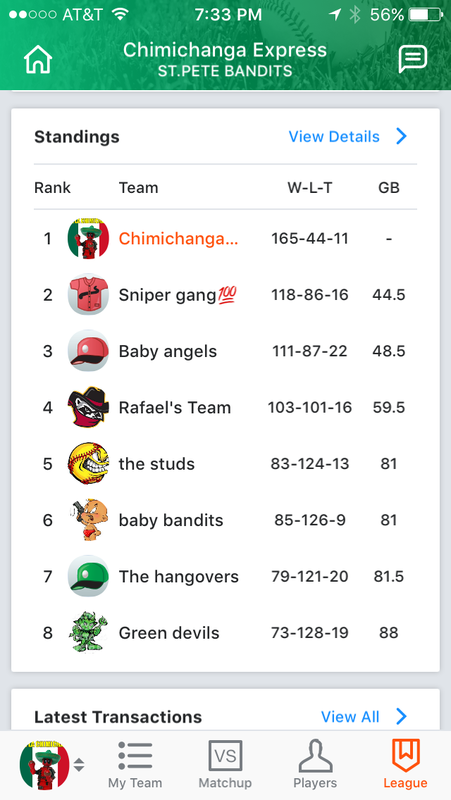 The above is the final regular season standings from my fantasy baseball league. 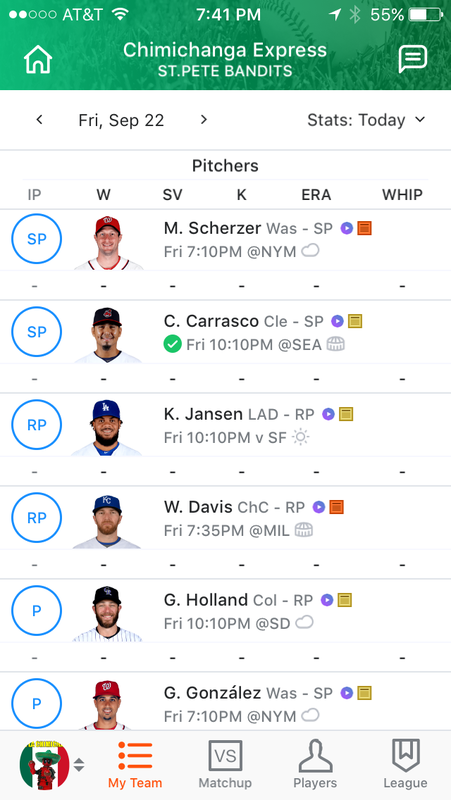 I’ve been playing fantasy football since 1995, but have never until this year played fantasy baseball. 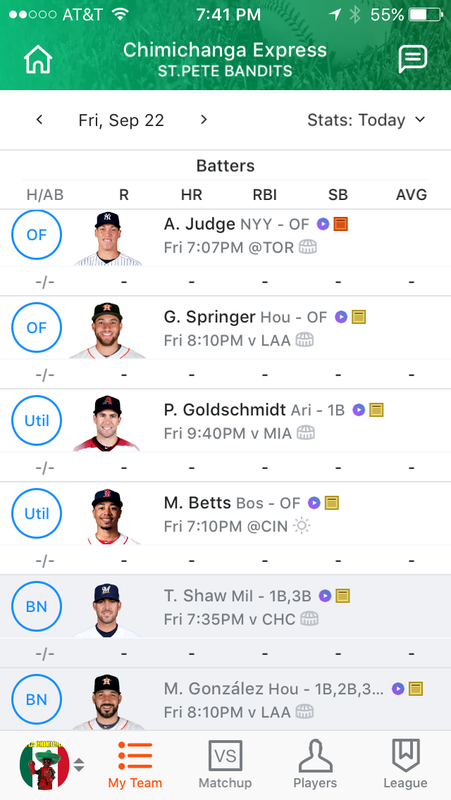 I have a good reason… I’ve never liked baseball… at all… before this year. 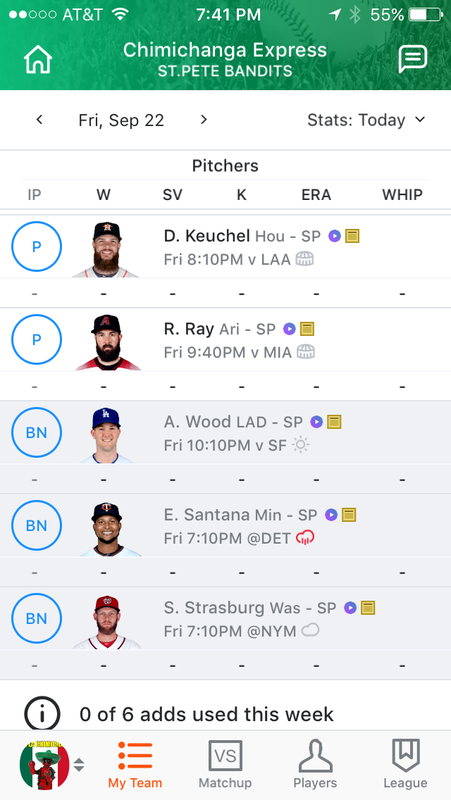 My workmate invited me to join his league, and he’s a huge baseball fan. He returned the favor and joined the fantasy football league I created for people at the company I work for. 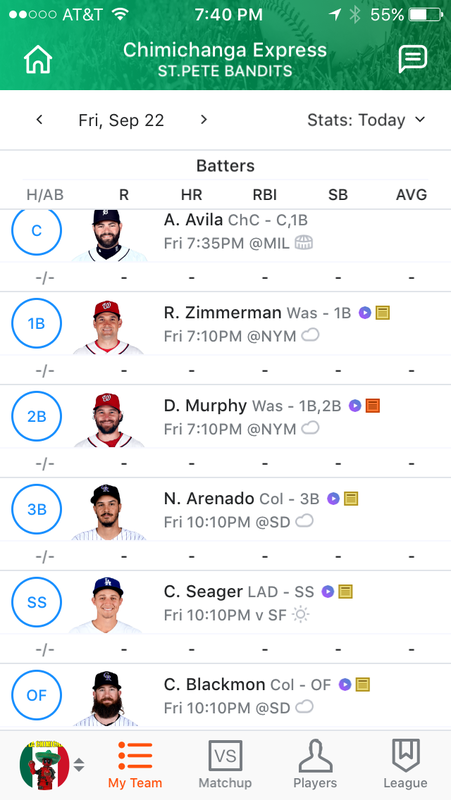 I got hooked in baseball as soon as I started watching my players. I watched a game every day for at least two months. Football is still king, but baseball has been upgraded to ‘better than OK’ in my book. Below I will post my roster. I am currently in the semifinals and hoping to make it onto the championship game next week. Finishing first by a mile in the regular season does not guarantee postseason success. Stay tuned!